When Russian embassy in China opened their new Weibo (Twitter equivalent ) handle this week, they had never imagined the wrath and bitter feelings, Chinese people still have about the Russians and their export of communism to China. Russians had thought that it would be a great friendly measure to have launched its first Tencent Weibo handle after Chinese Foreign Ministry spokesperson Qin Gang announced the news that Xi Jinping would visit Moscow as his first official foreign trip as Chinese president. Russians perhaps felt elated that Chinese new president Xi Jinping, like his predecessor Hu Jintao did 10 years ago, has selected Russia as his first foreign step, highlighting the importance Chinese government pays to Sino-Russia relationship and probably believed that they are one of the most welcome foreigners among Chinese people. "Hello everyone! This is the Russian embassy! Today, we opened a weibo. We welcome your interest." The Chinese netizens responded heavily to the message. Within 24 hours, Russian Weibo received as many as 24000 responses. However, the situation soon turned highly embarrassing for the Russians, as one after another Chinese outspoken netizen, slammed the Russians with thousands of abusive comments, indicating about the real image of Russia in the minds of Chinese people or at least, in the minds of Chinese netizens. Many also took this opportunity to take potshots at communism and communist party, a privilege they would never get in China. Chinese censors are known to be very alert, when any negative comments are made against friendly countries. No action by censors here has therefore raised many an eyebrows, observers say. Here are some of the choicest barbs and insults, along with original Mandarin message. @公民－居民弹道无痕：Strongly suggest Russian Embassy in China to take the madness of the people away from our country, and also take away their legacy: loyalty to red revolution and their heroes. 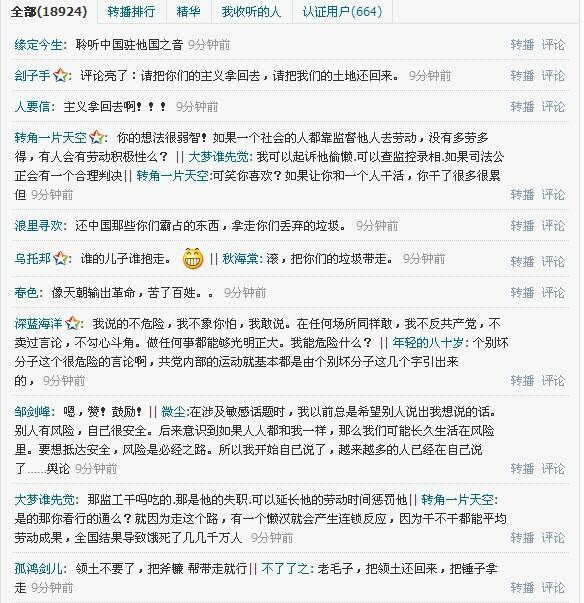 • 刽子手: The comments are enlightening: take back your -ism, return our territory. 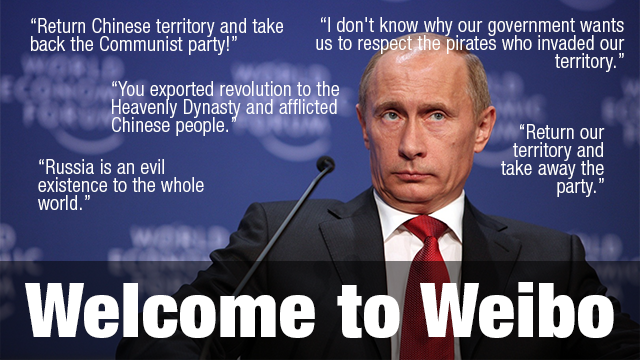 @hero032812： Russia is an evil existence to the whole world. "Down with the evil party! Down with the red devil!" • 乌托邦: Those, whom the sons belong to, should take them back! Haha || 秋海棠: Get away! And bring back your trash! The territory, the netizens keep referring to are 1.5 million square kilometers of Chinese lands, Russia had intimidated and coerced Qing Dynasty to cede, or directly militarily occupied and also the country of Outer Mongolia, which became independent after wold war II. Many Chinese believe it to be a part of China. I was wondering about what would happen if Chinese embassy in Delhi, similarly decides to welcome Indians to express their interest on a twitter handle. I am quite sure, they are likely to get back much more than what they have given to Russians. "I was wondering about what would happen if Chinese embassy in Delhi, similarly decides to welcome Indians to express their interest on a twitter handle. I am quite sure, they are likely to get back much more than what they have given to Russians". Don't you understand the damages of communism exported by the USSR to Mao had done to Chinese way of life, its Buddhism, Daoism, and Confucianism? If the Republic of China Kuomintang (1912-1949) stayed in power until now, China and India would've forged a Dharmic alliance and on the plus side India would've helped Chinese Buddhism grow further and we would probably be friends today.